When you are looking for a unique way to say “I do” while surrounded by your closest friends and family members. Wedding and Honeymoon Experts can help make your day special! ​An at home weddings can be cost prohibitive for many young couples. Hosting a destination wedding can cost considerably less and sometimes you can even get a basic wedding package included with your stay. 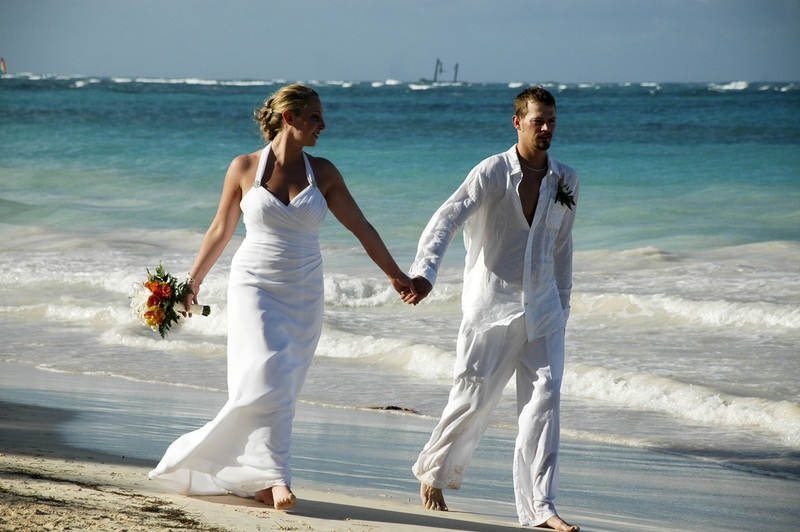 Destination Weddings are also a great option for a second marriage and bringing families together. Enjoy an extended period of time with your guests. Choose a beautiful, unique destination wedding venue– beaches, gardens, gazebos, chapels, your choice. Most of our all-inclusive resorts include a semi-private dinner reception for a small wedding. You can pay a fee for additional guests or if you choose, pay to host a private reception with cocktails, dinner, music, dancing, cigar rollers, fire dancers or more! Prefer to honeymoon alone? No problem, leave your guests to finish enjoying their vacation while you depart for another romantic resort or even another destination. Planning a destination wedding on your own can be frustrating and stressful. Our staff will eliminate your stress and assist you in working with your selected resort’s on-site staff. Help you select the perfect location for your destination wedding or assist you in securing the location of your choice. We’ve visited many of the resorts and destination ourselves and have first-hand knowledge of the properties and wedding packages. No fees for our services. We’ll assist you work with the on-site staff at your selected resort, assist you with any legal paperwork and take care of the travel needs for you and your guests while maximizing credits you can earn from your resort/tour operator. Many of our preferred all-inclusive resorts offer a complimentary wedding packages with a qualifying stay. Following are some examples of the wedding packages offered at these resorts, but we are happy to help you with selected the package perfect for your special day.